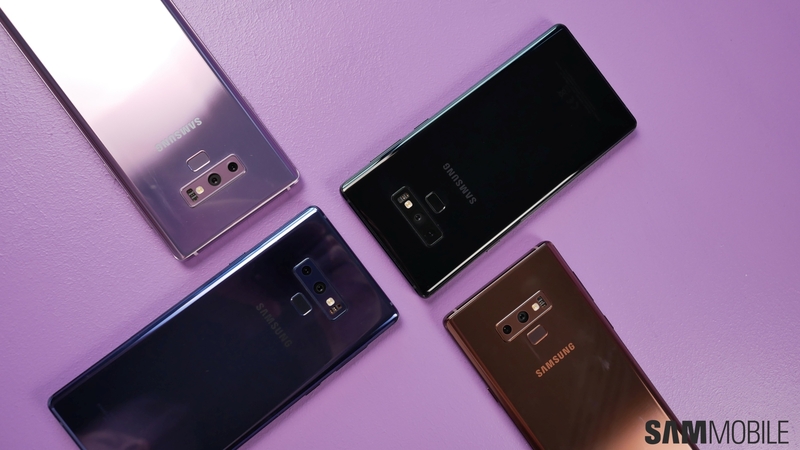 Samsung’s latest flagship phone, the Galaxy Note 9, is like a sleeper agent. 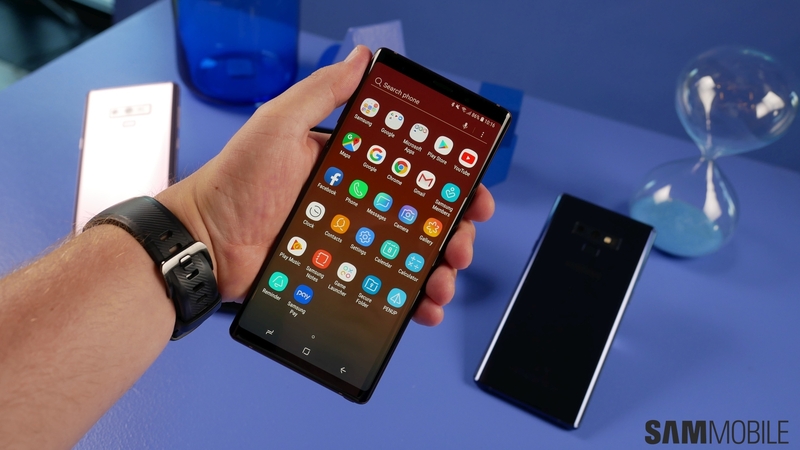 At the outset, you can’t really tell what is different here compared to the Galaxy Note 8, but there are more than a handful of upgrades under the hood, including the S Pen that resides in its slot at the right side of the phone. 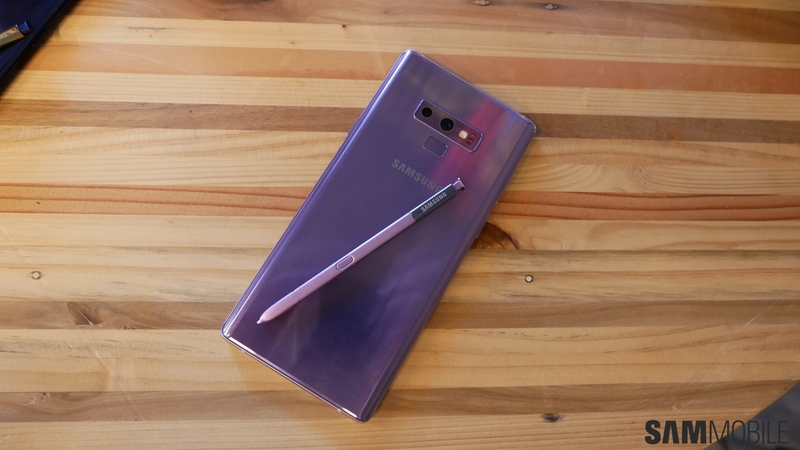 We recently went hands-on with the Galaxy Note 9 in New York City, so let’s talk about our early impressions of Samsung’s new flagship. Picking up the Galaxy Note 9, we noticed the increased width but not the higher thickness. The phone is thick thanks to the bigger battery (4,000 mAh), but it’s hard to really tell the difference in the hand. The same goes for the slightly bigger screen (0.1 inches more than the Note 8’s). The phone has diamond-cut edges to make it appear slim and a matte finish for the metal frame, the same as the Galaxy S9 and Galaxy S9+, so it looks quite classy, especially the Metallic Copper model. There’s a matching S Pen on all models except the Ocean Blue model, which has a yellow S Pen with a blue top. The front, as we said earlier, is quite similar to the Galaxy Note 8, but the back has two important changes. The first is the fingerprint sensor, which has been placed below the rear camera. It’s still not the perfect position and is a bit too high. The dual cameras, meanwhile, are set up horizontally as they were on the Note 8, but Samsung has decided to make the area around the camera lenses match that of the rest of the back, a minor change that goes a long way in improving the phone’s look. 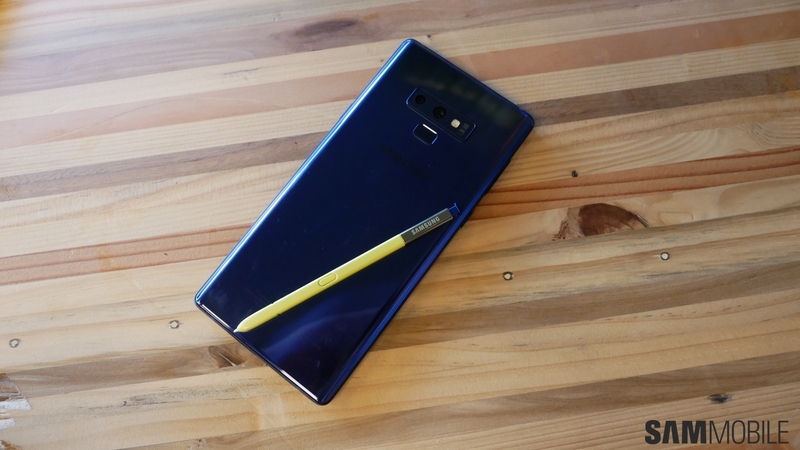 Overall, the Galaxy Note 9 feels solid and as premium as we have come to expect any Samsung flagship. The user interface on the Galaxy Note 9 didn’t feel any different to us compared to the Galaxy Note 8. But it felt smooth in operation and the changes should be apparent to us as we get to spend more time with the device. Even Bixby 2.0 was nowhere to be seen. The one new feature on the software front is called S Pen Remote, which can be toggled on or off. 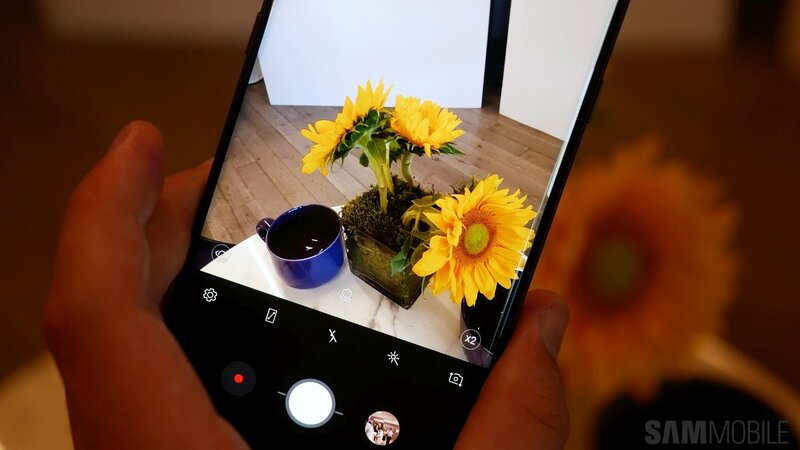 The S Pen on the Galaxy Note 9 has a low-energy Bluetooth chip inside that lets you use the stylus to take pictures (or switch between front and rear cameras), control presentations, and perform functions in apps like YouTube and Gallery (such as skipping a video or sifting through images). Samsung will offer an SDK so third-party apps can take advantage of the Bluetooth S Pen, allowing them to assign functions to single or double presses of the S Pen button. 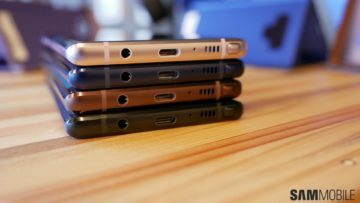 If you’re worried about the S Pen’s battery, you shouldn’t be. Thanks to a capacitor that powers the Bluetooth chip, the stylus can be charged for 200 clicks of usage in approximately 40 seconds of charging when it’s residing in the slot. Of course, you can choose to not use the remote functions at all, in which case the S Pen works as well as it did on the Galaxy Note 8. Samsung should also be proud of the new inbuilt DeX mode. The Note 9 can be connected to an external monitor with a Type-C to HDMI adapter to enable DeX mode, without needing the DeX Pad. The phone has a water cooling strip inside to help it keep temperatures under control in DeX mode. The best part about DeX mode? 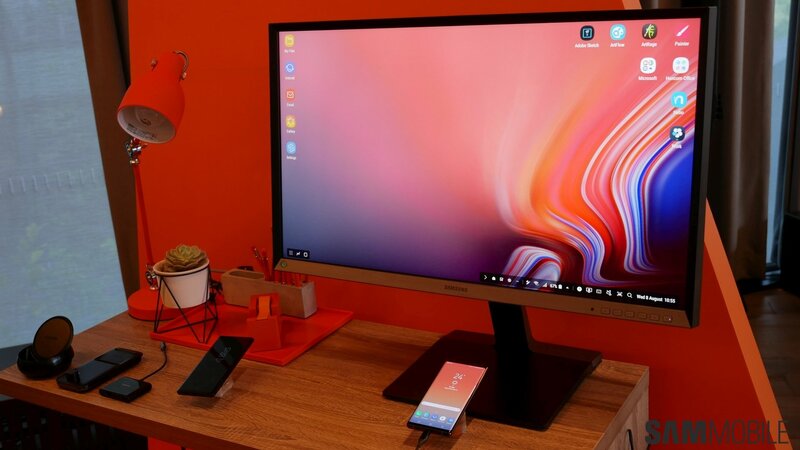 You can use the Note 9’s display as the second monitor and draw or write on it with the S Pen and see it all on a big screen, which would be your external monitor or TV. 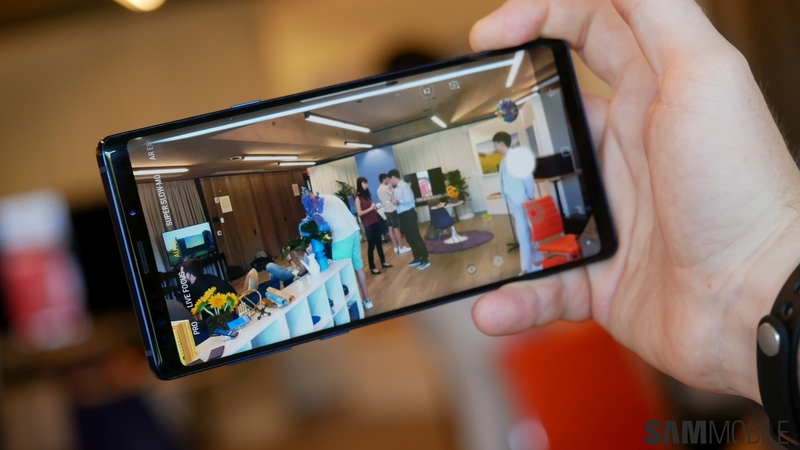 The rear camera on the Note 9 is exactly the same as the Galaxy S9+’, but Samsung has built in artificial intelligence to recognize the type of scene and optimize pictures. The feature is called Scene Optimizer and it matches each scene with 20 different presets, and to our eyes the images came out way richer. However, the scene optimizer didn’t always work, which may be due to unfinished software. It would also be nice to have the option to view both the regular and scene optimized picture in the gallery, but the feature can only be turned on or off. 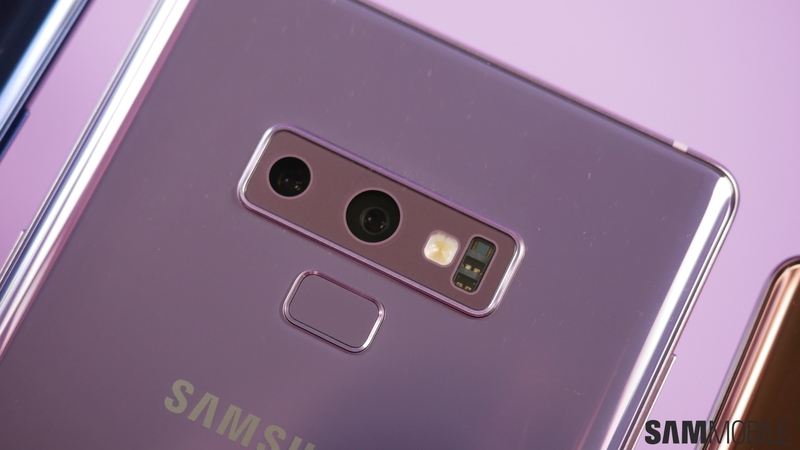 Samsung will hopefully introduce such an option with a software update, especially since each Note 9 has 128GB of storage on the base model. Oh, and before we forget, Samsung has also added flaw detection to the camera app. We couldn’t test this out, but it’s supposed to alert users if someone blinks, there’s excessive backlight, the camera is smudged, or the subject is blurry. It’s an interesting feature, and it should come in handy for the selfie fanatics. 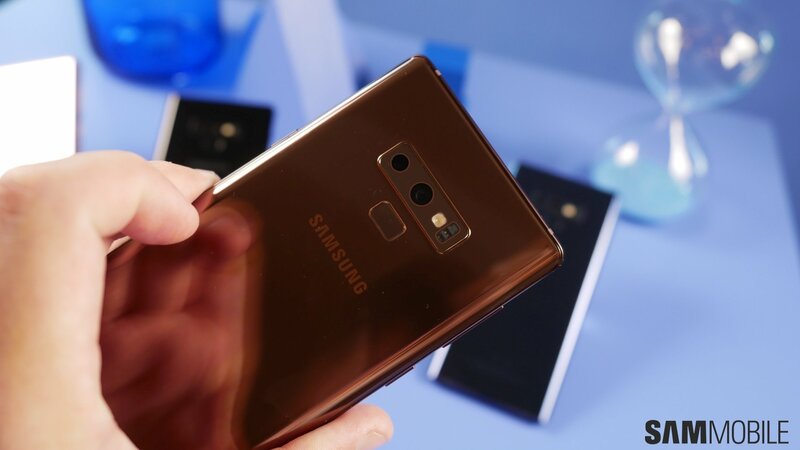 All in all, Samsung seems to have nailed it with the Galaxy Note 9. What makes it extra special is that it’s an excellent upgrade even for those who own the year-old Note 8. The phones look similar, but there are plenty of differences in areas that matter. The S Pen is also much more useful now. It’s odd how Samsung never thought of bringing Bluetooth functionality to the stylus on the Note smartphone lineup before this. Perhaps the company did it now because it was running out of ideas, but we’re not going to complain. 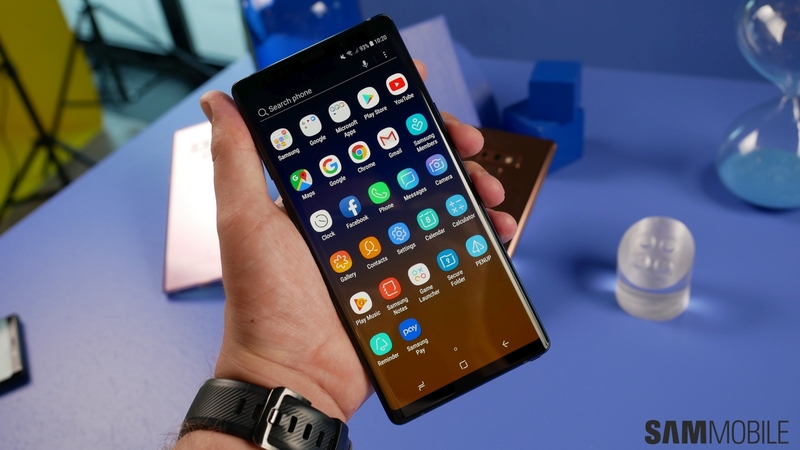 Of course, the overall user experience is something that we would only be able to comment on after living with the Galaxy Note 9 for a couple of weeks. If you are interested in the Note 9 but aren’t sure if you should buy it, you should wait for our official review, which will dive deeper into aspects such as performance, battery life, and just how well some of the new software features work. Stupid Edge-panel! Useless on the S9, but even counterproductive on the Note9. Can’t use the S-Pen on the curved parts. The edge doesn’t give any functional advantage. When will Samsung drop this annoyance? I’ll keep my NoteFE as long as possible. 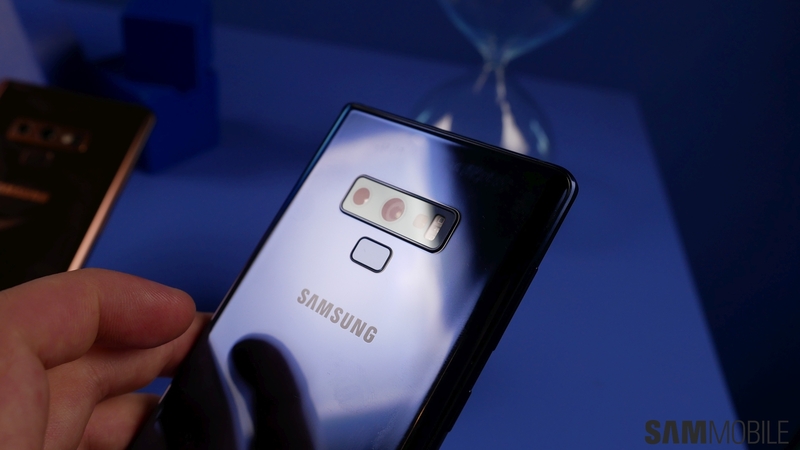 Is the Note 9 using the latest Corning Gorilla Glass 6? Despite the bigger battery, optimized SW and larger RAM/capacity, I somehow don’t feel the need of opening my wallet to upgrade from my S8+. Let’s call it Galaxy S 9 Pen, what it truly is, sadly. Let’s see how Samsung uses Project Treble to release Pie asap. But if they do the same as the past years they will continuously lose loyal customers…. Many other counterparties run at least betas already. I really love the design and specs of Samsung devices but their Software performance and upgrading is still behind vanilla android. 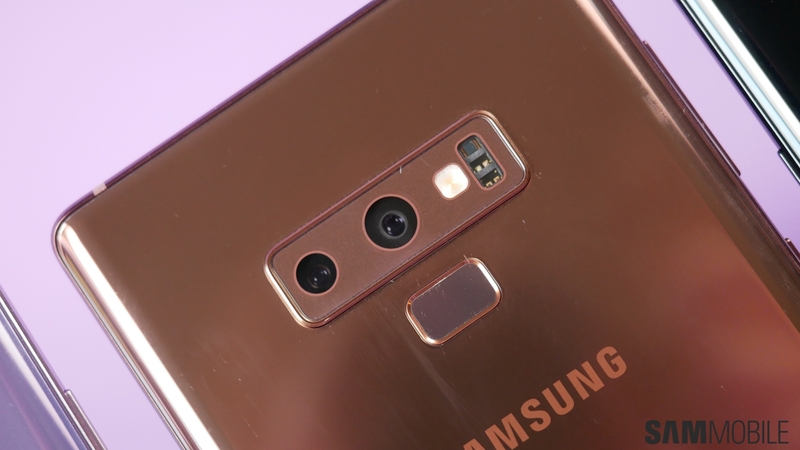 and yet Samsung already has most of the features (and many more) of Android Pie. Don’t believe the hype. The changes and improvements for Samsung users would be barely noticeable. I’m a sam fan..had the note 4 s7edge s8 plus note 8 and now the so plus eagerly awaiting the s10 plus…. I is this a threat from me… yes. I’m finally upgrading from my Note4. Just out of curiosity, didn’t see any site mention which Gorilla Glass the Note9 uses. If I remember correctly, when they announced the Note4 , they also waited a while before revealing it uses the then new Gorilla Glass 4. So is it 5 or 6 on the Note9? 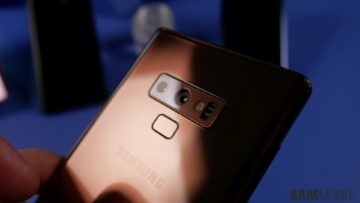 Well, of course, things like the rear fingerprint sensor add to it as Samsung said during the S9 launch, and you have features like a microSD slot, heart rate sensor, an S Pen slot, a headphone jack, and water resistance that the P20 Pro doesn’t. Nothing from the Chinese compares when you think of all the little and big tech inside Samsung’s flagships. Same again with the fake not knowing about the device and some how pump 6+ articles out in less than a few minutes of the announcement. We don’t see the phone two weeks early, we see it a day or two before at best in American events (we have to travel from Europe), and when we do see stuff weeks before, we only post leaks that tell people something not seen or confirmed yet so they’re up-to-date since we can’t tell people if we have already seen stuff under embargoes. Would you suggest we and all tech sites just stop writing stuff and earning? These complaints are getting irritating, so please stop reading the articles until launch day if it bothers you. Not saying not to write stuff but the angle or the way how you can phrase the wording rather say oh the specs could be this or that. Simply state the rumors of base model is this and potential high end could be 8gb and higher internal. There isn’t a need to say that the high price model may or may not have 8gb ram. Yes, we don’t do that when we get early hands-on, but again, with American events that’s not possible so things aren’t actually final till a certain stage. But feedback taken on that kind of wording and we will try to implement going forward. Don’t get me wrong. I do love Sammobile and leaks are great. even if they know every detail, they will not publish it. they will only ever post stuff that they can link to a source from to protect the relationship they have with Samsung. I know of one website that the reporters are banned from apple events because they didn’t tow the apple party line. you Sammobile are reliant on Samsungs good will and cooperation because they are dedicated to a single manufacturer. To be honest, I dont bother with all the leaks, I just look forward to the official anouncements…. You do understand how NDAs work, right? Non disclosure means “don’t say a thing”, not “you can say a bit but not everything” . If they gave away anything they would be putting themselves at the risk of a lawsuit and a permanent bar from future events.